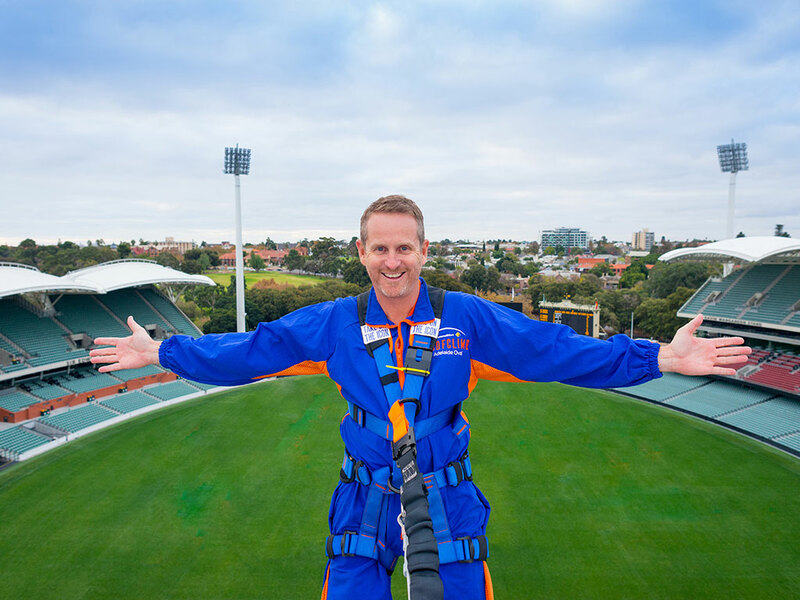 Our trained RoofClimb Leaders guide you across the highest points of the Oval’s unique roofline. Travelling from the Western Stand to the Riverbank Stand on a purpose-built path, the experience will offer breathtaking views and a unique perspective of the city of Adelaide. 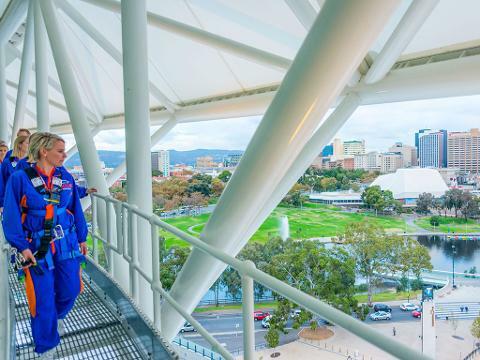 Witness blue sky in every direction and marvel at some of Adelaide's most recognised landmarks. 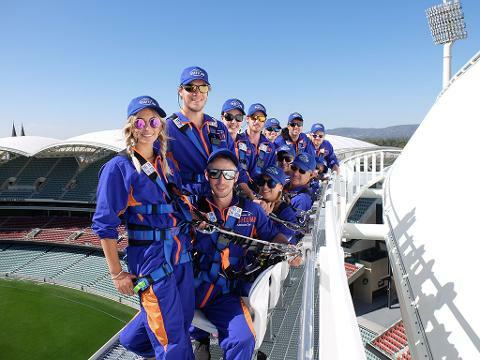 All RoofClimb Adelaide Oval adventures include admission to the RoofClimb, a group photo, completion certificate and souvenir cap.